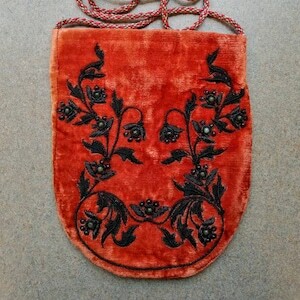 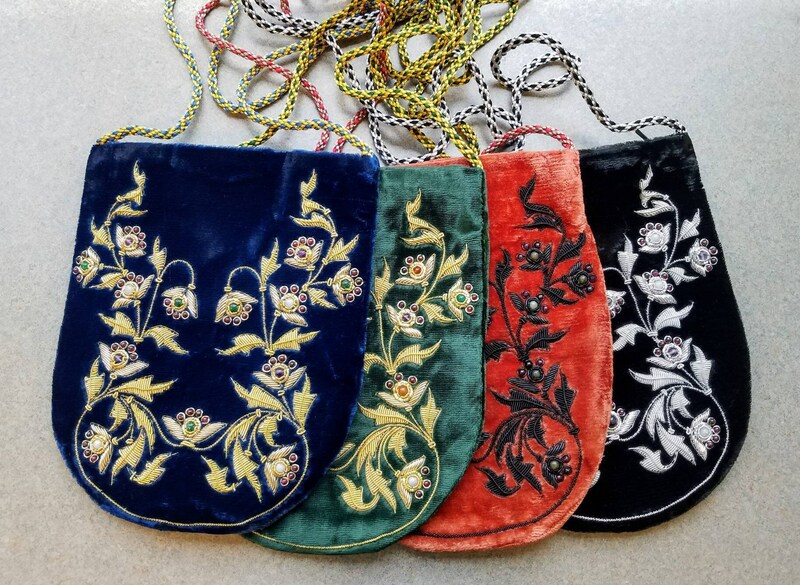 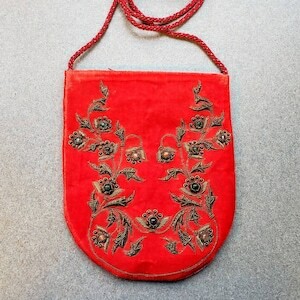 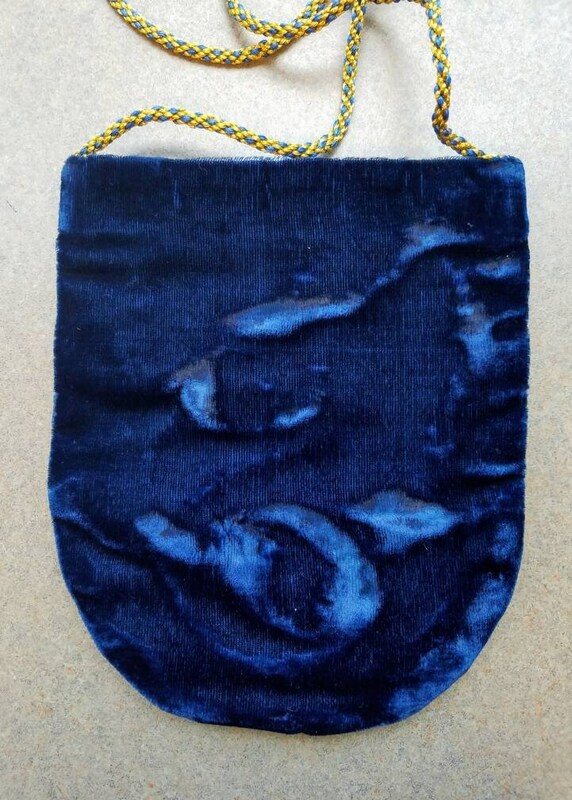 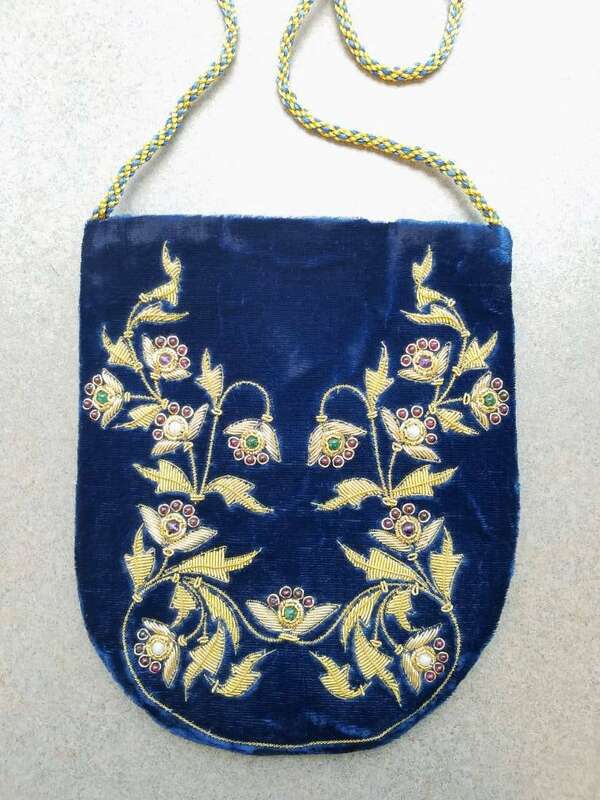 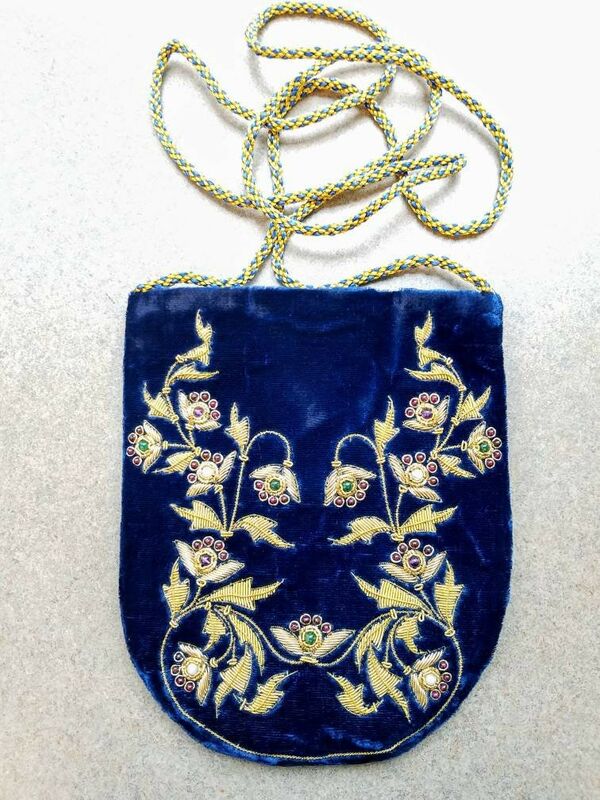 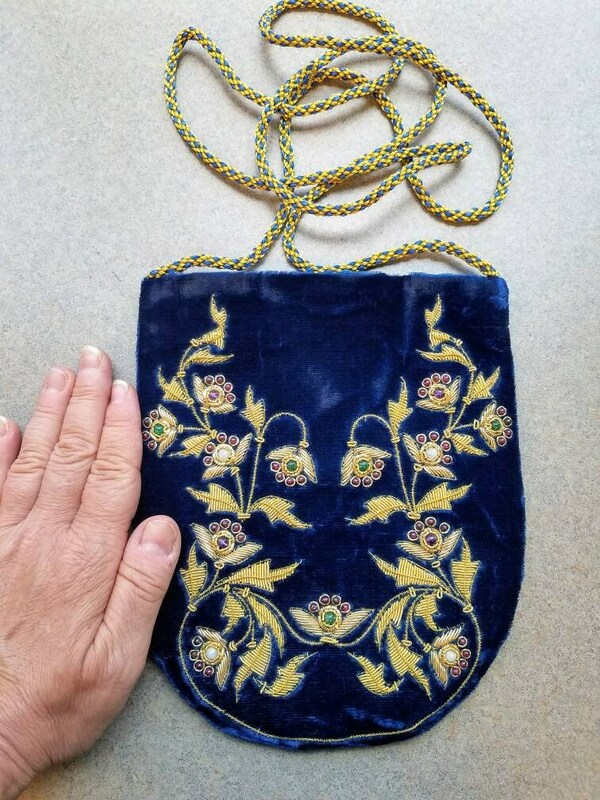 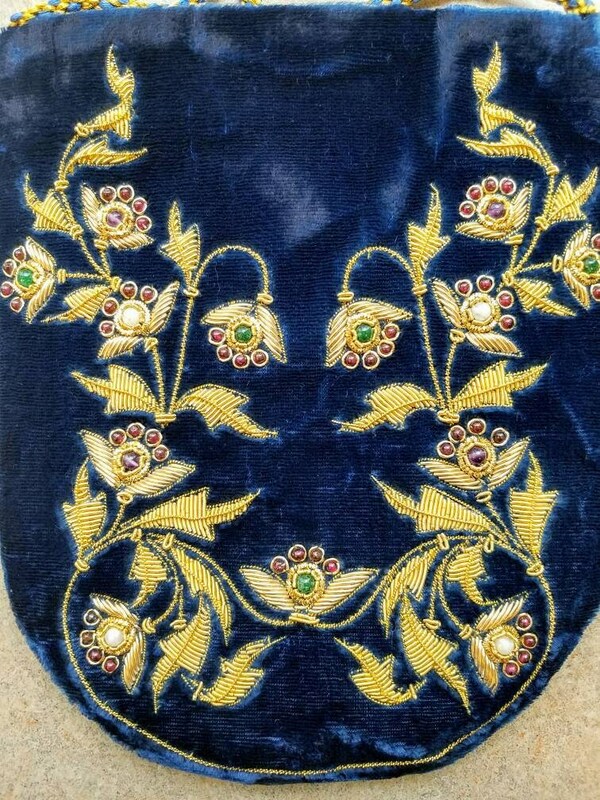 Stunning and original hand embroidered crossbody bag on lush and rich crushed blue velvet. 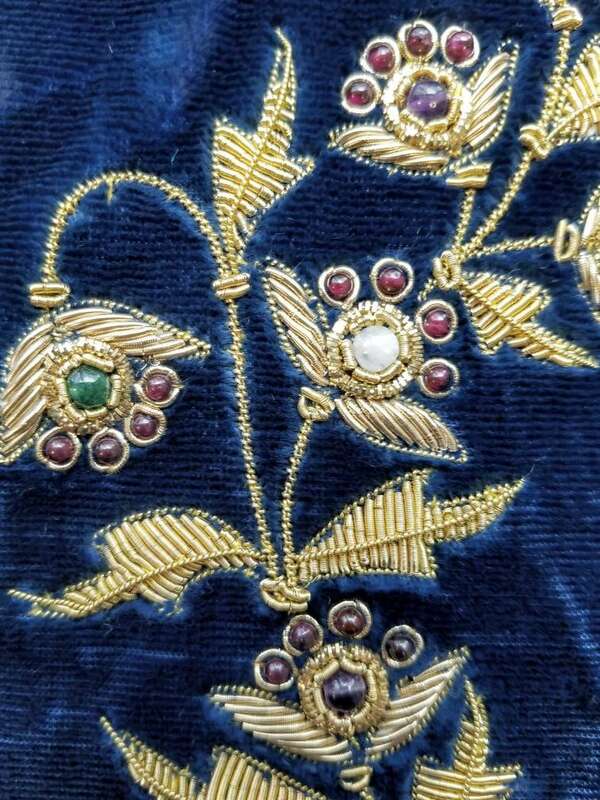 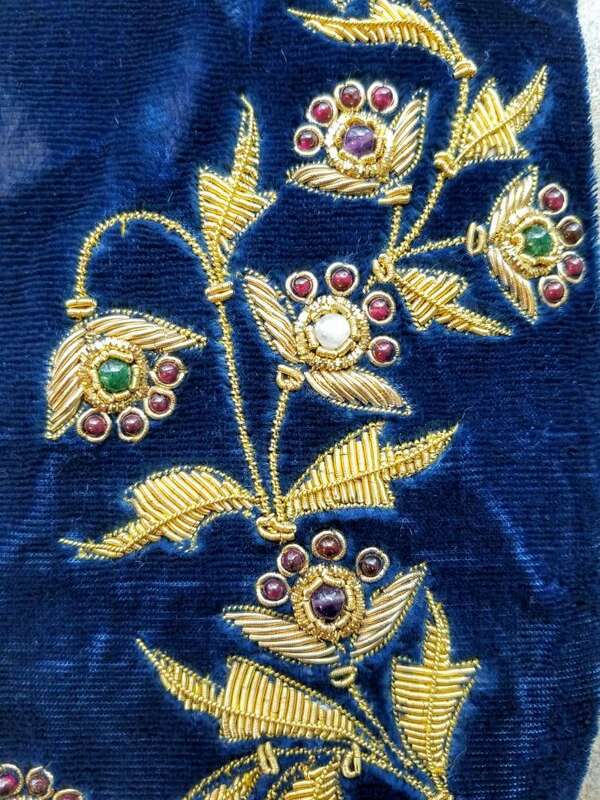 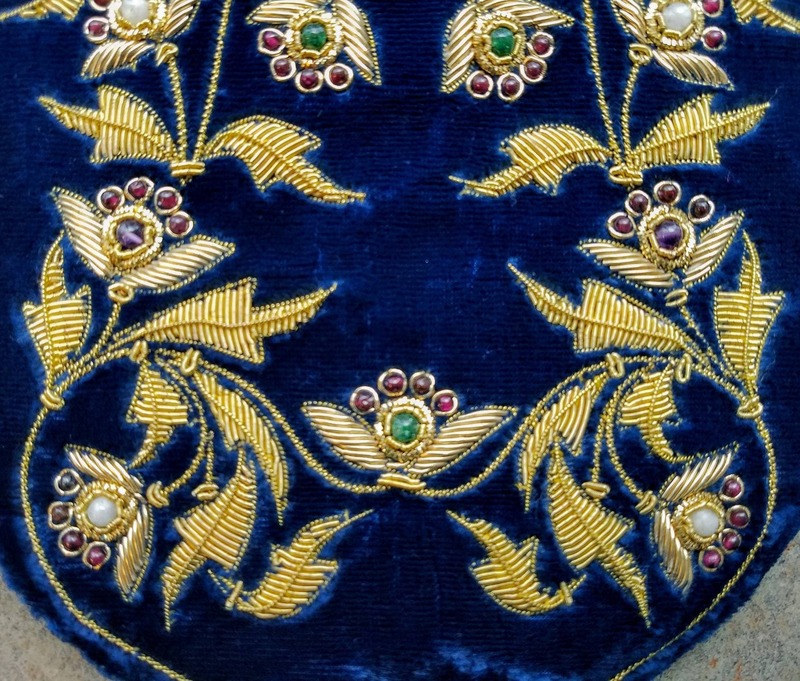 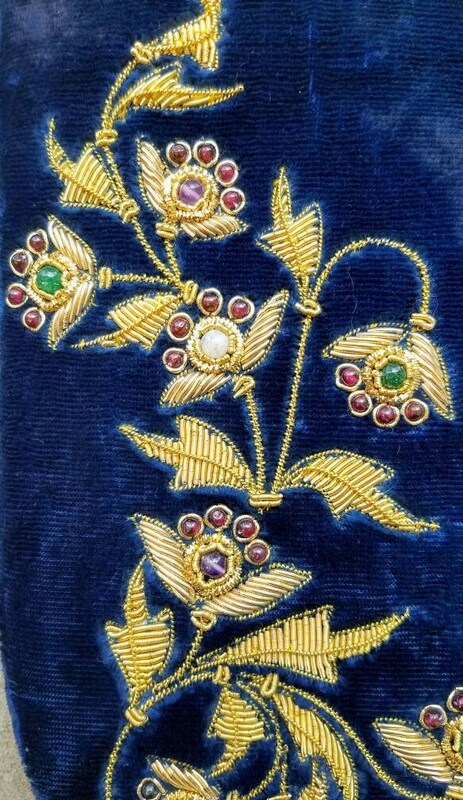 Finely detailed and precise swirling flowers pattern using gold colored metallic threads. 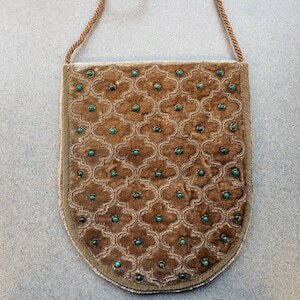 Genuine tumbled green onyx, amethyst and quartz beads sewn in, creating a 3D effect. 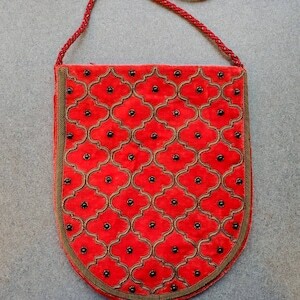 Created by a master craftsman in the historic city of Agra, home of the Taj Mahal.